Iowa Governor Kim Reynolds says the federal government should stop separating children from their parents when they enter the country illegally. Reynolds said on Tuesday that “it’s just horrific” that children are used as “pawns” in an immigration policy dispute. The governor called on Congress to come up with a solution this week that stops the Trump administration’s “zero tolerance” policy at the U.S.-Mexico border. 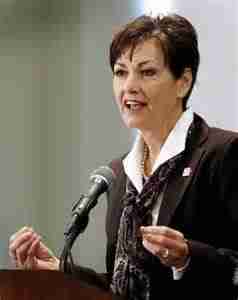 Reynolds says the Iowa National Guard has not been called to assist in immigration enforcement. She has not committed to assistance at the southern U. S. borders, preferring a wait and see approach.